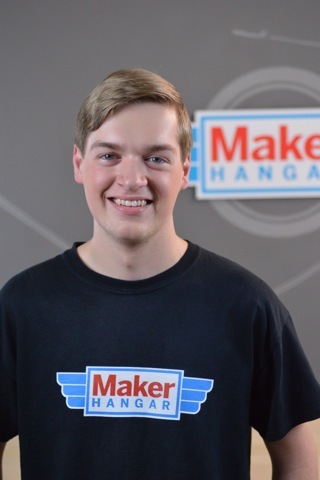 MAKE Magazine and 17-year-old Lucas Weakley have teamed up to bring you Maker Hangar and a 15-episode tutorial series on Google+ that will teach you everything you need to know to build and fly a custom RC plane, the Maker Trainer. The first installment airs this Thursday, July 11, and will air each Tuesday and Thursday through Aug. 29 with a new installment and video. If you ever wanted to build an RC plane, this is your chance to learn from a pro. Today Lucas will join us for Day 2 of Maker Camp to talk about the Maker Hangar and RC planes in general. Joining Lucas will also be Breck Baldwin of Brooklyn Aerodrome. Tune in at 11am PST right here! Lucas readies a Maker Trainer for flight. Meanwhile, join us on the Maker Hangar Google+ Community page to share your ideas, comments, photos and video and details for your own RC plane project builds.